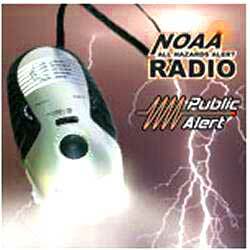 Dynamo 4LED, AM-FM-WEATHERBAND Radio w/ PUBLIC ALERT Cell Phone Charger and Accessories kit. Cell phone kit includes five adapters. EMERGENCY FLASHLIGHT IN THE PALM OF YOUR HAND! If you are worried about a black out, or just want the most features ever from a handheld flashlight, the new WeathBand Radio Dynamo FLashlight from Viatek has everything you will ever need right in the palm of your hand!